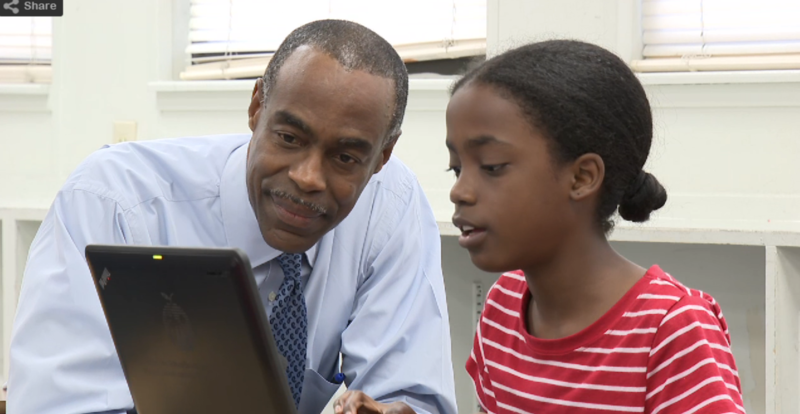 Broward County Public Schools (BCPS) continues to be spotlighted by the White House as a national model for expanding access to computer science in schools. Through the District’s #BrowardCodes initiative, in 2017/18 more than 50,000 students are positively impacted by computer science offerings at 100 percent of BCPS K-12 schools. View the Code.org partnership video from 2013 where BCPS became the first school district in the nation to partner with Code.org to increase access to computer science courses, curriculum and resources in schools. Since then, BCPS has also been named a Regional Partner with Code.org, which provides additional funding to build a community for computer science. This includes creating a cohort of 20 master teacher trainers and increasing the number of computer science-trained K-12 teachers to over 1,000. In addition, 20 middle schools now offer a high school level computer science course, and 2,000 high school students are enrolled in computer science courses at the college level through Advanced Placement or college dual enrollment. 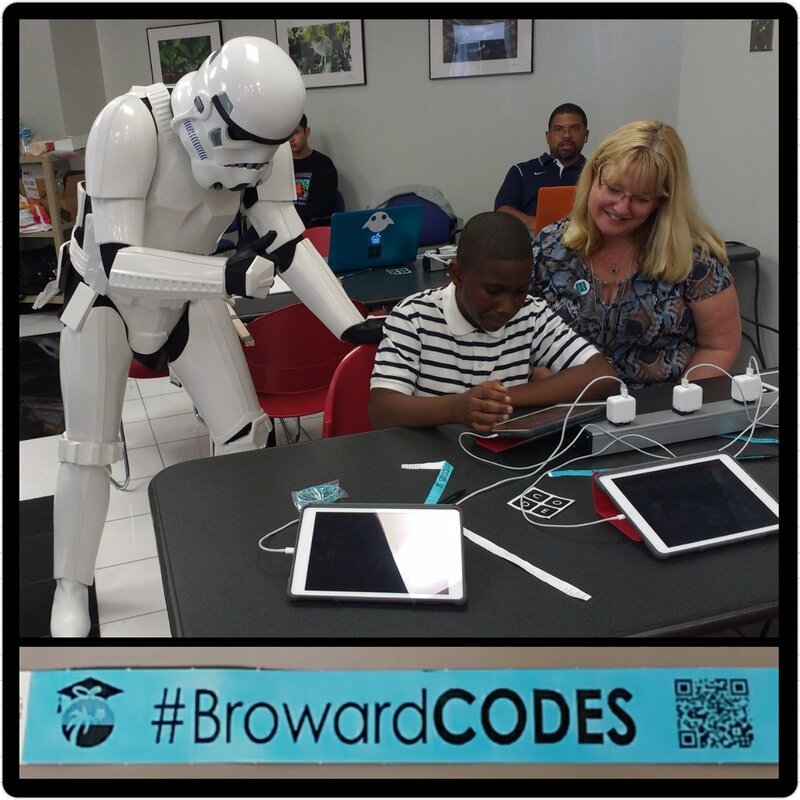 The #BrowardCODES initiative continues to broaden participation by hosting clubs, computer science fairs and app challenges/codefests, in partnership with events and initiatives within BCPS that are not typically related to computer science. Through its #BrowardCODES initiative, BCPS has expanded its connections between K-12 and computer science career pathways in South Florida in partnership with the Greater Fort Lauderdale Alliance, South Florida Regional TechGateway, and other local businesses. Every year, BCPS invites industry professionals to get involved with #BrowardCODES and join the excitement of Computer Science Education week by volunteering during December 3-9, 2018. 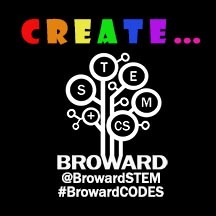 Contact Dr. Lisa Milenkovic at browardstem for further information. Download the current flyer on computer science in BCPS. The Annual Computer Science Education Week Is December 3-9, 2018. 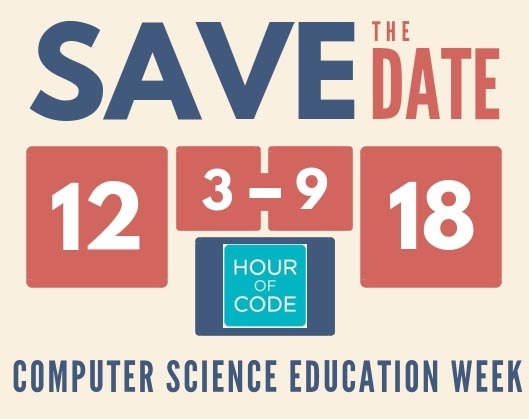 Is your class ready to celebrate the Hour of Code? Students can participate in an hour of code activities during CS Week with or without a computer! Learn more at hourofcode.com (this link will take you outside of BCPS site). If you are from a traditional Broward County Public Schools, register what your class is doing for the Hour of Code and the first 100,000 students will receive our new CREATE stickers! Info sent out via Yammer and district announcement. Computer science is also a top paying college degree and computer programming jobs are growing at two-times the national average. According to the Bureau of Labor Statistics and National Science Foundation, by 2020, there will be one million more jobs than students entering the field. In addition, basic computer science skills can be applied and utilized in a variety of different careers. Today’s students are surrounded by technology in their everyday lives, yet few are learning how computers actually work. Computer science transforms students from simply users of technology to creators of technology. BCPS is honored to be the recipient of a $1.2 million grant from the National Science Foundation to develop a model for science, technology, engineering and math (STEM) and computer science in elementary schools. The project creates hands-on learning applications for students through a “STEM plus computing curriculum,” allowing students to build models and prototypes to improve problem-solving skills and develop their critical thinking abilities. The District will also work with teachers to develop STEM problem-based learning and teacher professional development materials, to address challenging new areas for young learners. The pilot project includes 14 schools in the 2016/17 school year. The results will be used to develop a national model for integrating computer science in the classroom. For more information, go to Time for CS. This material is based on work supported by the National Science Foundation under Grant No. 1542842. The technology sector is big business in South Florida. BCPS and the county’s economic development organization, the Greater Fort Lauderdale Alliance (Alliance), are teaming up to create an even brighter future for this industry and local students. The Alliance, together with its counterpart economic development organizations in Miami-Dade and Palm Beach counties, are showcasing technology companies throughout South Florida through a TechGateway initiative. This initiative includes a website,TechGateway.org, which highlights more than 2,000 local technology companies, as well as a map showcasing the location of these technology companies across our region. Through a partnership with BCPS, poster-sized versions of the map are displayed at all of the District’s middle and high schools. BCPS Career, Technical, Adult & Community Education facilitators are also working to raise awareness at schools about the TechGateway initiative, posters and associated classroom activities.